Planting veggies particularly during the dry season come with a singular most threatening challenge: Heat! Scorching heat is a phenomenon naturally experience around this time of the year. Any veggies that would survive this period must have a number of variables in its favour. To increase the chances of survival, adequate irrigated water must be sufficiently provided and it must also be ensured that the water stays in the soil considerably before the next irrigation day. This is where the essence of mulching comes in. Mulching is therefore a practice of using material either of natural source or synthetic to cover the beds or portions around plant stands so as to limit the amount of water evaporating from the soil surface. Mulching however can serve beyond this purpose as you would realize reading further. How soaked your soil is/Volume of water supplied: Do you know that what actually makes plant to wilt (undergo heat stress) under the intense sun heat is not really the heat coming directly from the sun up there (that is perhaps a blessing) but more from the reflected heat coming from the hot soil? That is to say, if you can make your soil very soaked (but not perpetually waterlogged) continuously with water (i.e. 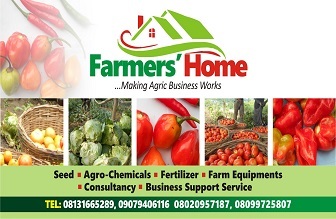 creating a situation that follows a heavy down pour), irrespective of the heat from the sun, your crops wouldn’t feel the scorch. 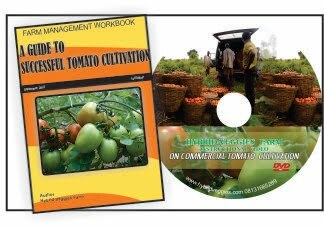 This is the reason why local farmers planting tomato during dry season particularly up North usually soaked the soil before transplanting the seedlings and ensures that the soil remains soaked till the seedling past post-transplanting shock period. In a situation where by you can’t afford that volume of water and or do not have resources to enable this, then this option might not be for you then you may have to resort to mulching. Stage of growth: Stage of growth of your veggies is another factor that determines whether to mulch or not. Newly planted seeds and germinated seeds or newly transplanted seedlings needed to be mulched than a fully grown plant. The reasons are: some crops when fully grown would have developed deep rooted structures which enable them to tap water far away in the soil therefore having enough to replenish water lost through evapo-transpiration. Other crops would have developed well shaded foliage/massive leaves which protect the direct sun heat from reaching the root and surrounding soil thereby conserving as much water as possible. Method of planting: Some veggies like carrot, leave veggies (amaranths) are densely planted together such that when fully grown would naturally provide shade around the soil thereby retaining as much soil water as possible. Direct seeded crops or transplants: Direct seeded crops are those that their seeds are directly planted therefore do not need transplanting while the transplanted crops are the opposite. 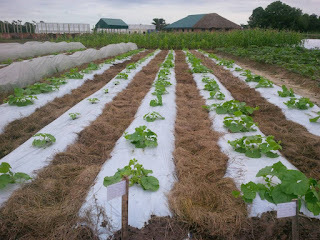 The transplanted crops need mulch more mulching than the direct seeded crops because of the disturbance they are subjected to during transplanting which may cause their death if not properly managed. Weed control: Mulching your crops/field goes beyond water retention but could also help to prevent germinating weeds from growing since they would need sunlight to do so. 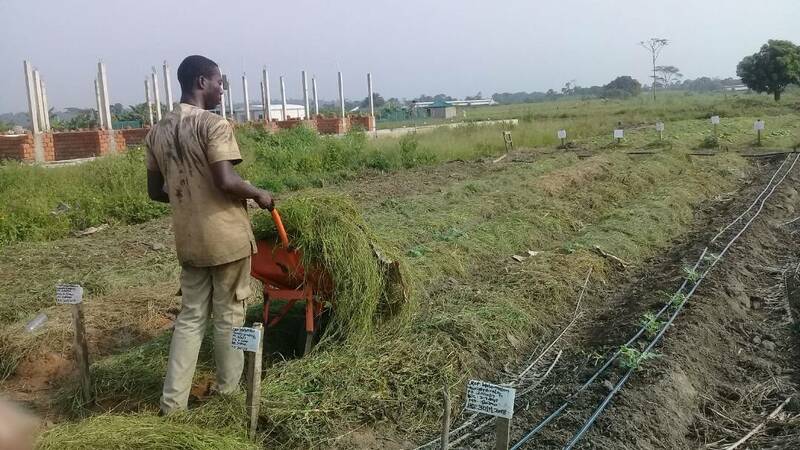 However, this practice of using mulching for weed control is more relevant during wet season where weeds have better chances of growing fast. Limit nutrients leaching: Mulching prevents top soil from the effect of heavy down pour especially during the wet season. This is one of the reasons why synthetic mulch (nylon mulch) is mostly used during this period aside to control weeds. Solarization: This phenomenon is only seen with the use of synthetic mulch. Solarization is a process of heating the soil or increasing the soil temperature to a degree that would kill the soil dwelling pathogens and some micro-organisms. Addition of organic matters: This is only possible with the use of natural mulch. The mulching materials eventually decay and be added to the soil as organic matters thereby increasing the soil nutrients’ bank. 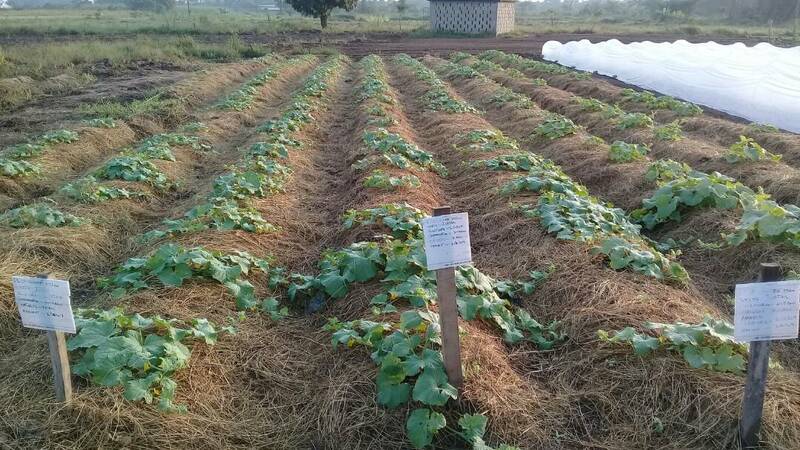 Enables soil microorganisms and earthworms to be more actives: This is particularly common with the use of natural mulch particularly during dry season. The cool environment created by this natural mulch encourages these organisms to be more active. Remember that their activities in the first place increase the soil nutrients and availability. Mulching materials may come from two sources: Natural or synthetic. Let us take a look at available options one by one. Hay or straw: This is gotten by chopping off fully grown grass weeds and then slightly dries it. It is essential to only use non-seeded grasses. What this means is that, you should source your hays or straw from grasses that aren't already carrying seeds. Failure to ensure this would leads to weeds problem on your field from the seeds of the grasses. Using the right one would help in retaining soil moisture, keep down weeds and add organic matter to the soil when it breaks down. Once again ensure that you use hay or straw that is seed or weed free. Shreded leaves or tree back: This is often available mostly for a price from wood making factories, furniture workshops or sawmills. Getting the right quantity for a big farm might be of a challenge. You may consider this for small garden only due to cost implication. Wood shaven and saw dust: This could have been one of the best natural mulching materials for its availability but for its Nitrogen demand during decaying, it could prove fatal to your crops. It is important to keep in mind that this is low nitrogen organic mulches and during their decomposition, nitrogen is temporary depleted from the soil which may compete with your crops’ high demand for Nitrogen. Nevertheless, these are good mulches especially for walkways on the farm or garden. Grains shafts: This may be available only in some locations especially those places close to feed/grain mills. It is also a good source as mulching material. It is however prone to heavy wind which is the reason why people may not be disposed to using it. You can reduce this effect by heavily soaking it always. Plastic mulch: Plastic mulch also known as mulching film is synthetic in nature. It has its advantage in that it completely controls weeds and prevents leaching of nutrients but in terms of water retention, its use may come into questioning. The plastic mulch depending on the colour, transmit the sun’s heat to the soil beneath creating a warm soil. This helps in solarization of the soil. This is where its water retention property comes into questioning. I would personally advise you never to use plastic mulch especially black ones during the dry season. It does not only create and or enhance warm soil (which adds to heat stress around this period) but some of the mulches have reflective surfaces that reflect heat more often than not, affect young seedlings and older plants’ lower leaves causing wilting, death and drying of leaves. Identify a lush grass weeds that have not gone into seeds, clipped them or chop off the grasses from the portions immediately above the soil using sharp cutlass or sickle. You may decide to allow them to dry a bit by spreading them in the sun or use it directly. Use the hay or straw to completely cover your beds containing germinated crops and newly planted seeds or use it as spot mulching if you can’t get enough mulch. In any case, ensures that the thickness of the mulch is around 10 centimeters thereabout. However, while applying the mulch, don’t put hay or straw up to the stems of your veggies and clog around the root zone to discourage stem rots, and adverse insect activities on the plant stem. 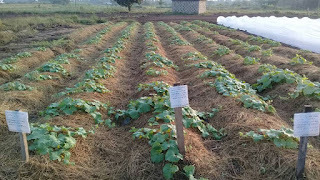 Have a great farming season as you give your crops a cool and calm situation using natural mulching materials. If you enjoy this article, please like us on Facebook and follow us on instagram. Cheers!